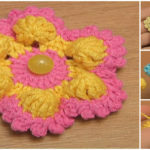 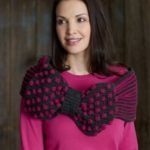 We love to discover different interesting and beautiful techniques with free tutorials for crochet. 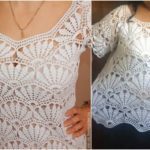 If your point is to learn more and make your hands more crafty and your mind more experienced this Post is perfect for you. 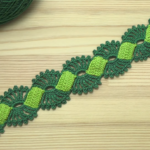 We have found Ribbon lace today with beautiful colors and with free video tutorial. 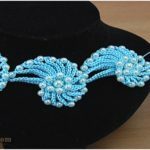 In this tutorial author has explained everything clearly and if you will follow her hands you can learn everything easily. 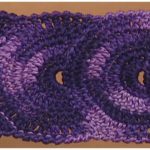 You can use this technique to make borders for blankets or to decorate your dress and other clothing. 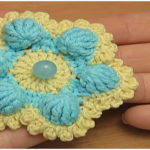 We want to say thanks to author for creative design and high quality Tutorial. 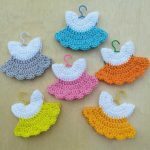 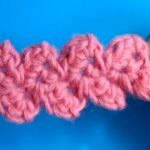 We will be happy if you will learn to crochet Ribbon Lace from this tutorial.